First of all I want to thank everyone who reached out to me after my last post. I was scared to post about what was going on with me personally but you all made me feel so loved and supported… thank you… you may have even made my mum tear up a bit. I want to use the palette I selected for this project again… but this time I want to just use the colors with no white…it is such a fresh color scheme and I want to really get the citron to pop. On Pinteres I have a whole folder full of color schemes and I love taking inspiration for how other people put together palettes… particularly when I am having a color block (which is a quilters equivalent to writers block). I also find it easy to point my fellow quilting bee mates in the direction of a color palette when setting a block for them to make…. and so far the results have been spot on. I got a wonderful mix of colors back from my team and also a variety of tones… does anyone else use other peoples colour palettes? This quilt has already headed to the local PICU and is hopefully giving a warm Quilty hug to someone. After some miserable weeks of rain here in Portland it has recently fined up enough for me to drag Mr Wombat out and about to photograph some quilts. It used to be much easier when I hung the quilts on the back fence, but not as much fun. 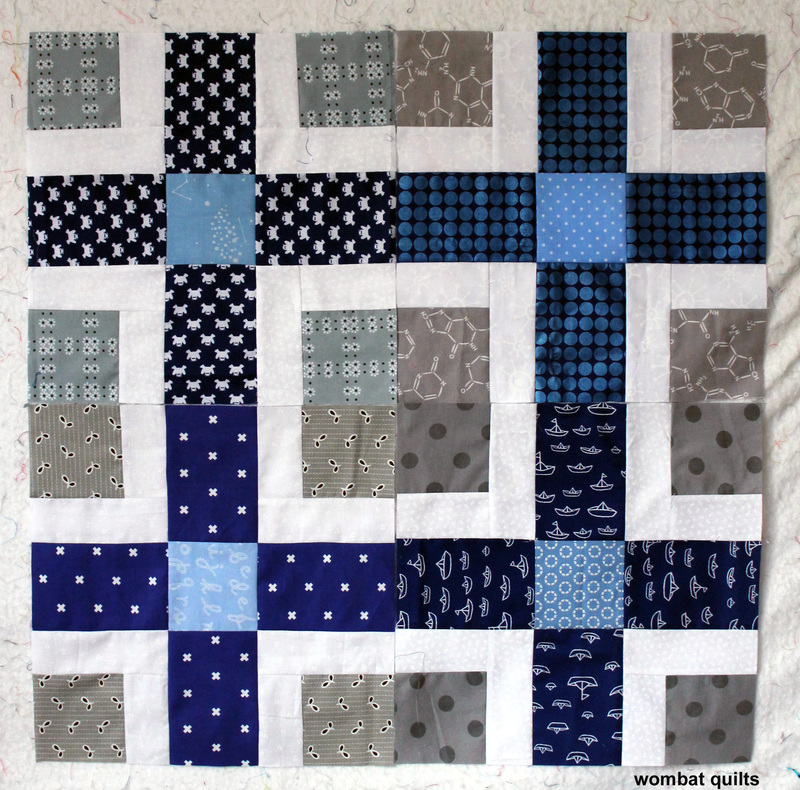 The first of the recent quilts I am going to share is a Do Good Stitches finish…. It is a fun block and a real scrap buster…and my fellow Do Good peeps did a great job with their Double Pluses. Mr Wombat was also on good pinkie form don’t you think? In true scrappy form it is full of fussy cut goodness and fun bright colors… and is wonderfully gender neutral I think. I do love my charity quilts to be cheerful and worthy of a good game of I spy. I was talking to a friend today about stashes and I realized where other people (aka. grown ups) go for simple blenders, I will always go for a novelty print if I can. The quilt was quilted and bound by one of the fabulous PMQG members. Our Charity program receives quite a few quilts from different Do Good Circles (or Bees), and each one is sent to our local Pediatric Intensive Care Unit. Every month or so we send to the hospital between 15 to 30 quilts… some of them are panel quilts but most of them are beautiful handmade masterpieces. I am constantly in awe of the people of my quilting community and the wonderful work they do. I have always made charity quilts – it has been my passion/obsession for over 20 years… but I never expected so many people to jump in so enthusiastically and help out. I am constantly speechless at the generosity I see. There is such good in the world. The pattern is a free pattern from Cloud Nine called The Amsterdam Quilt. There is quite a bit of wiggle room with the HST’s so you can easily trim them to 4 1/4 inches square. You end up with four half square triangles that are then sewn together to make the leave sections.. The flower pieces then go together quickly and easily, as per the instruction sheet. For my Bee flowers I have requested bright/jewel coloured flowers. I want the flowers to be bright and happy and I have limited each flower to one busy novelty print and one more graphic colour as I did not want the flowers to be too insane… it was hard as I love my novelty prints but top and bottom busy novelty prints was just a little too much for even me! I think this is going to be an fabulously bright and cheerful quilt when done. 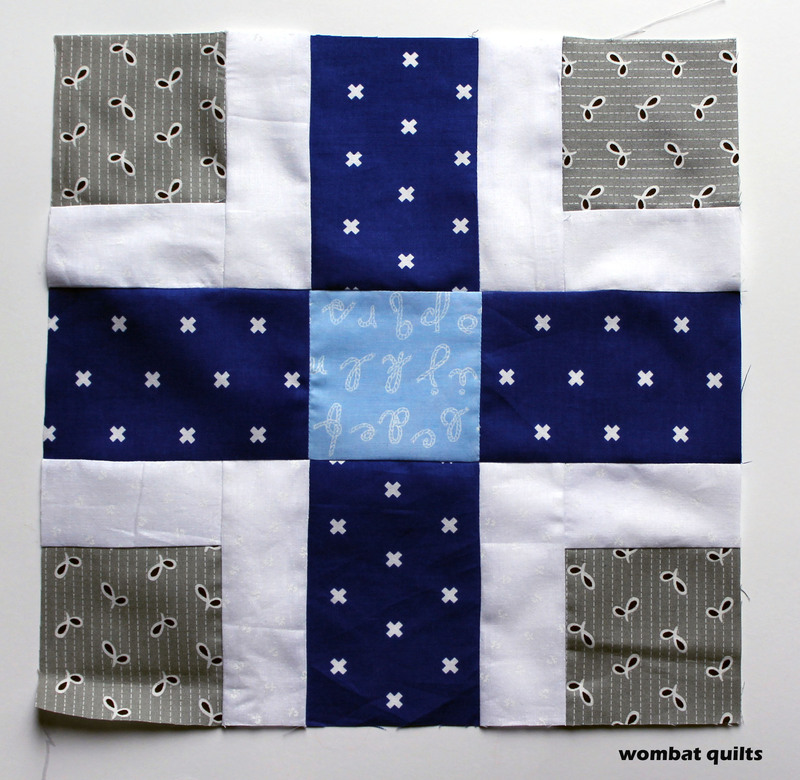 I love how easy to make these blocks were…and just warning they are a little addictive. The process was so easy that I managed to get four blocks made in no time… and I love how they look together…. Four (4) 2 x 3 ½ strips of sashing (white). 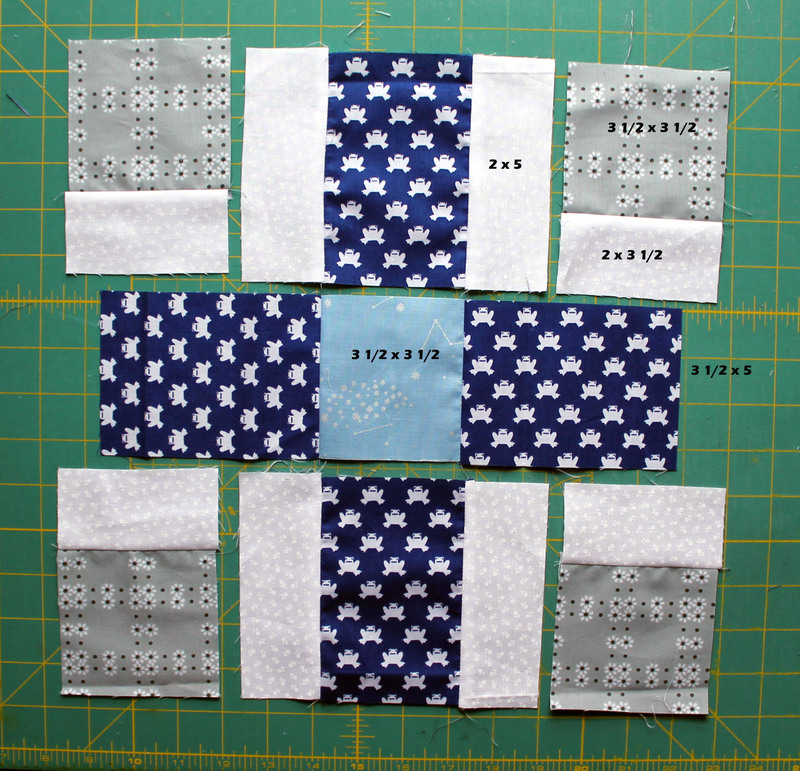 I can not wait to get all the blocks in… it is going to be fun watching this quilt come together.